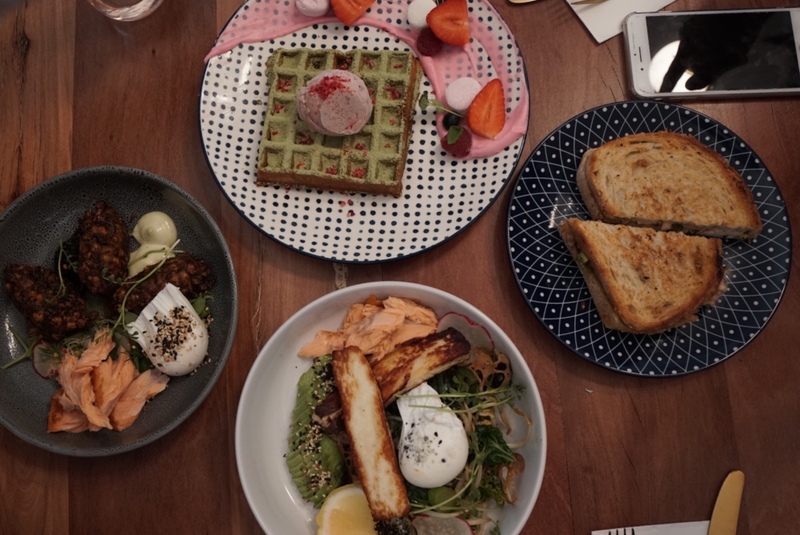 Torpe is a brand new cafe in Armadale. 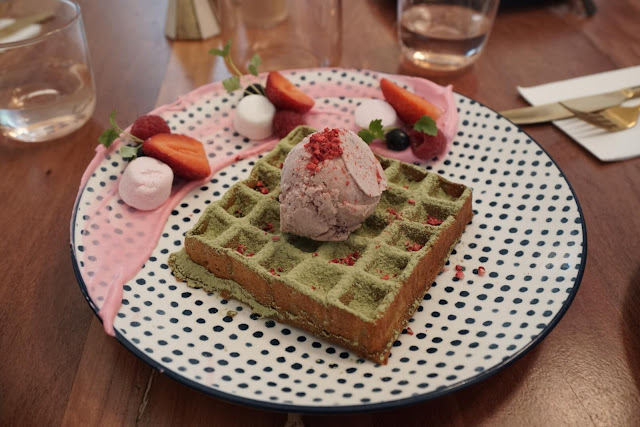 It is a new small yet cozy cafe in the Armadale neighbourhood, decorated with instagram-worthy wallpaper and sofas. 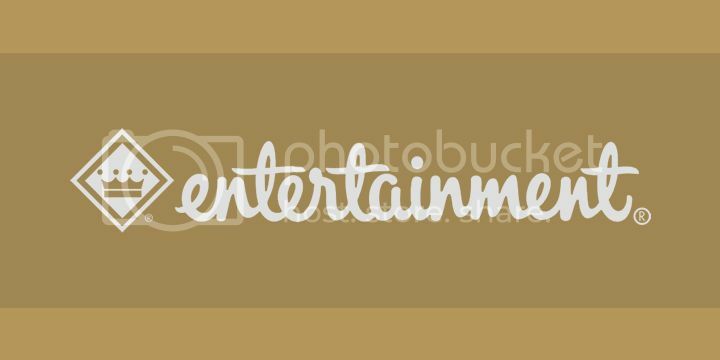 The service was very friendly and outgoing as well. 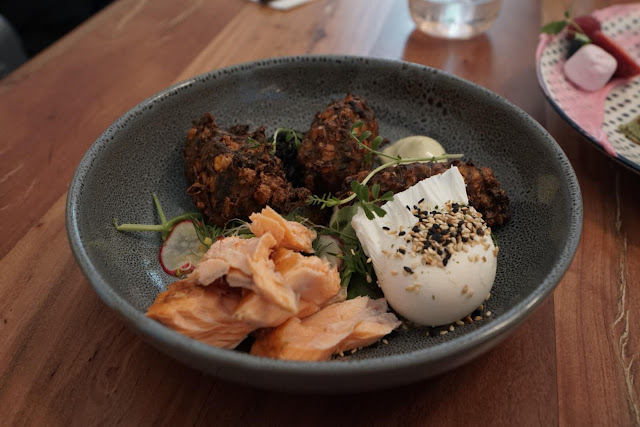 Tumeric Sweet Corn Fritters - house made chilli jam, fresh radish, NZ hot smoked salmon, a poached egg, dill aioli, soft citrus herb salad ($18.9) add extra avocado ($5). It is an average dish to be honest. However, I love their chilli jam. It is sweet yet it gives a kick to the overall fritters. Green Brekky Bowl - Chinese broccoli, kale, bok choy, bean shoots in ginger hoisin, grilled halloumi, poached egg, avo, sesame nori, lotus chip, lemon cheek ($18.9) add pulled pork ($5). 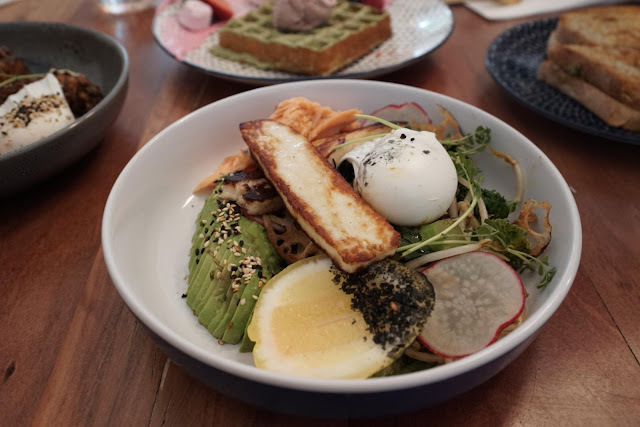 It looks just like poké, poached eggs surrounded with mixed greens and topped with halloumi cheese. A great healthy food to start your day! Generous portion and very hearty. Matcha Waffle - pink coconut yoghurt, coyo strawberry, cold hibiscus ice cream, raspberry crumb, marshmallow, fresh berries ($18.9). We didn't like it at first since the dough is too gooey and the matcha flavour is not strong enough. After having two to three spoons of those, we started to like them and finished them with the pink yogurt that was beautifully stroked on the side of the plate. At the end of our meal, we took a look at the menu again, realising this dessert is actually gluten free which explains the dough texture.